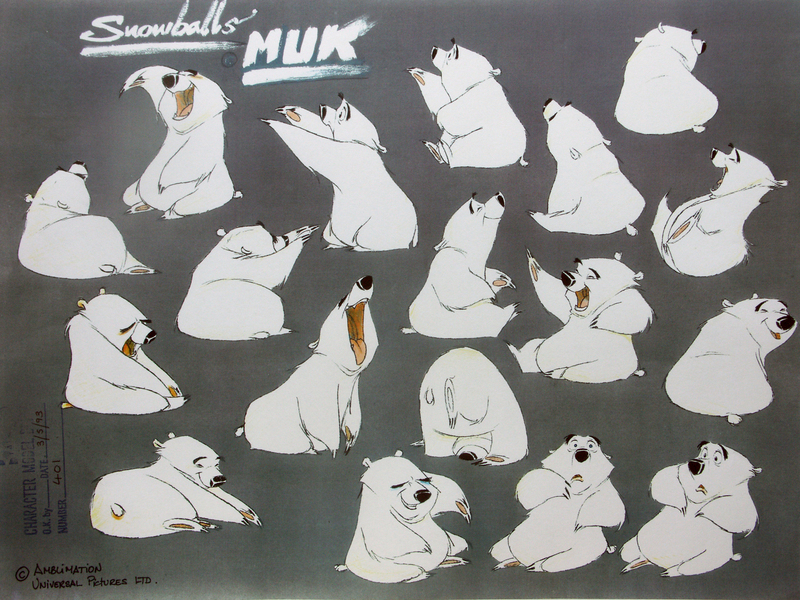 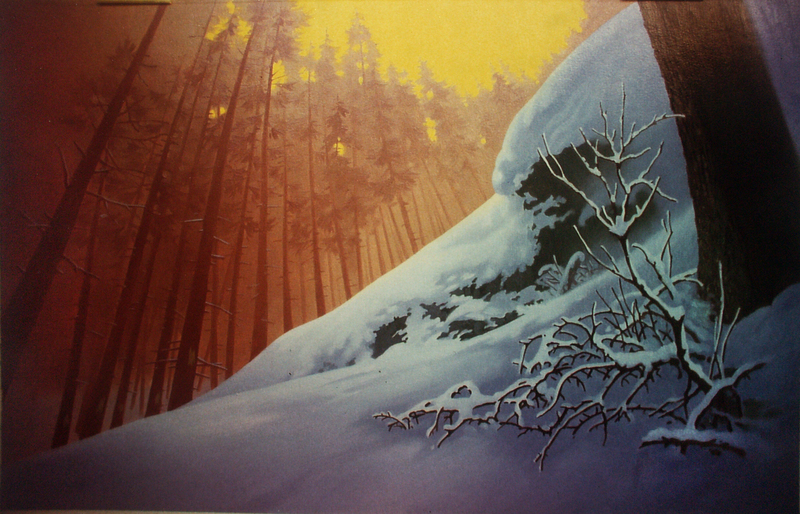 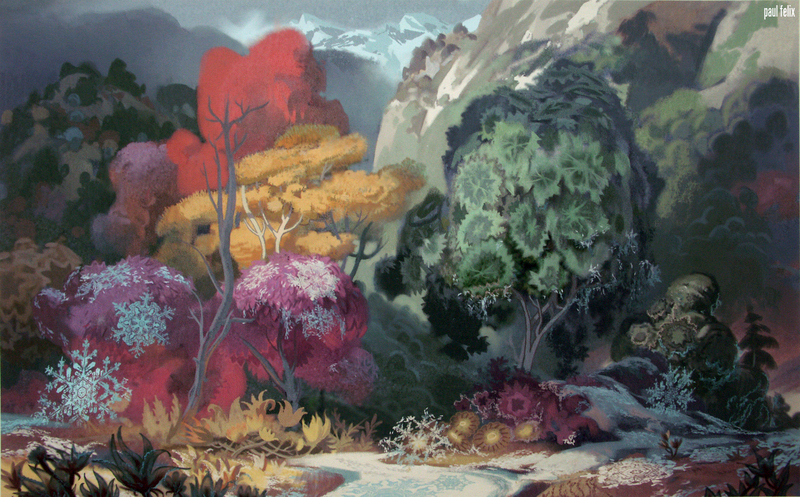 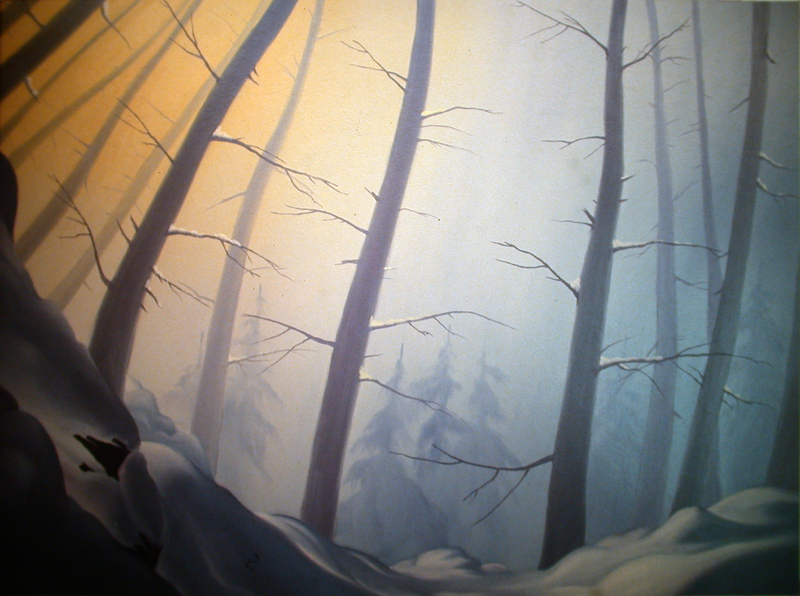 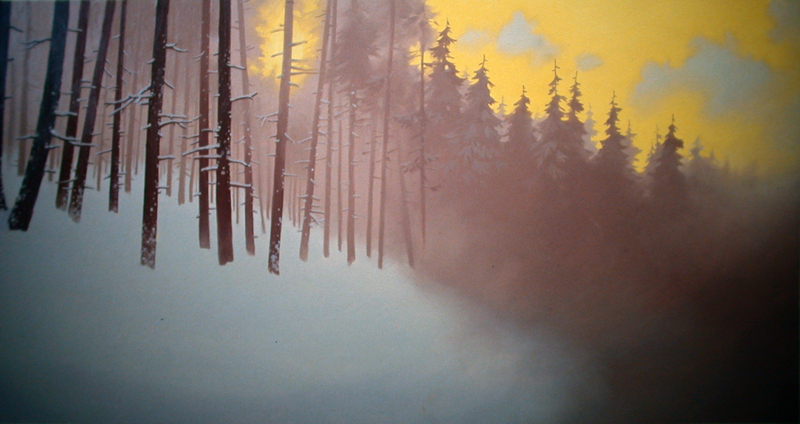 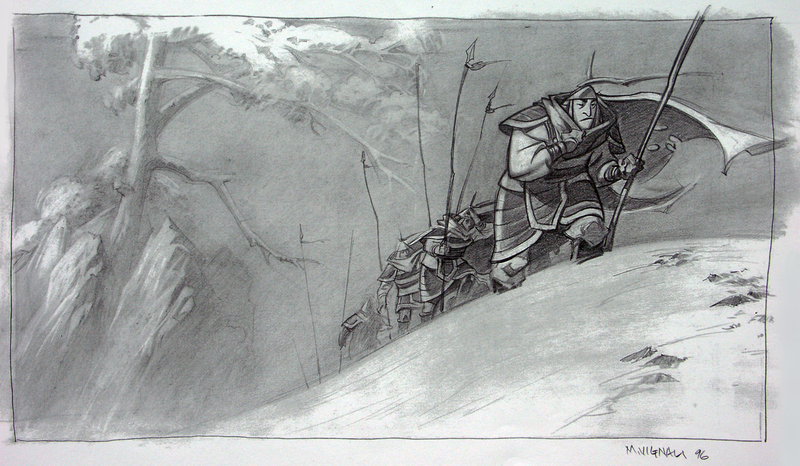 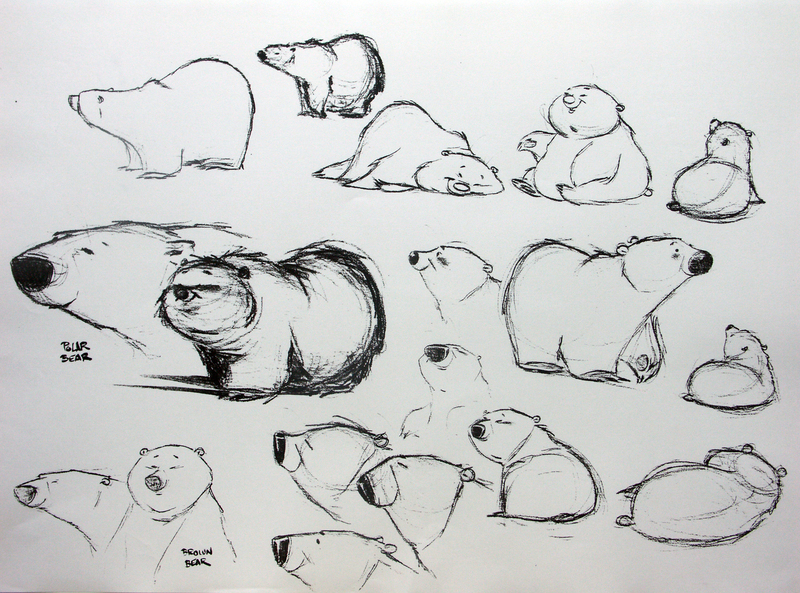 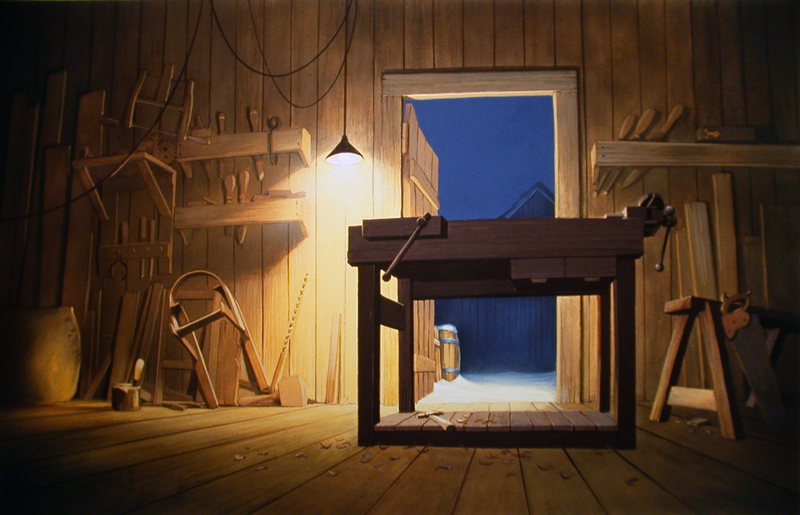 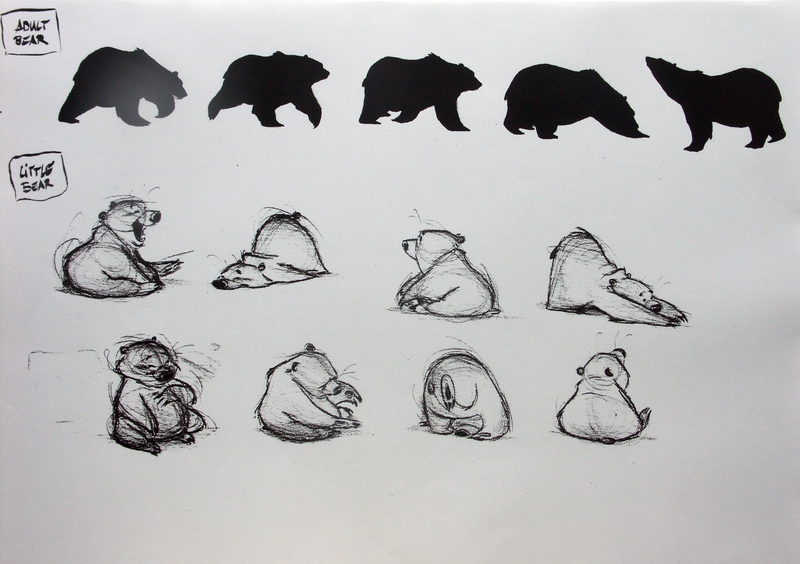 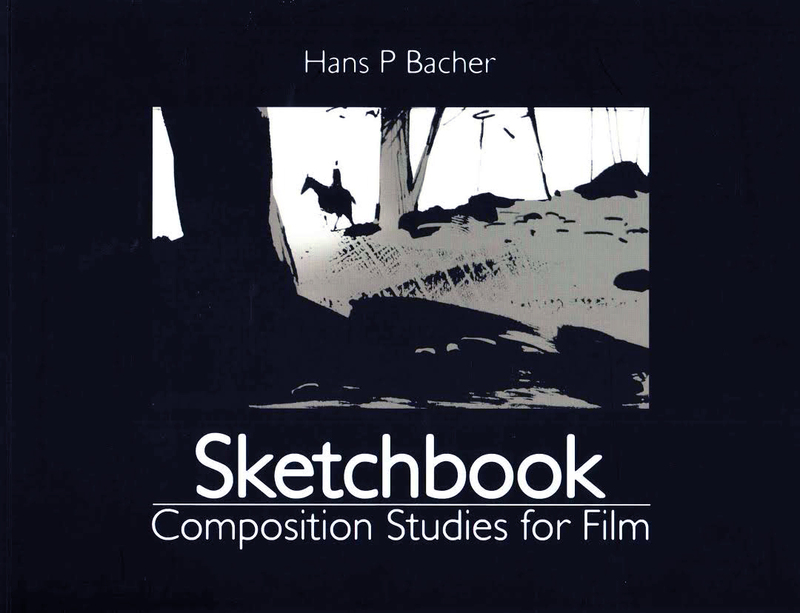 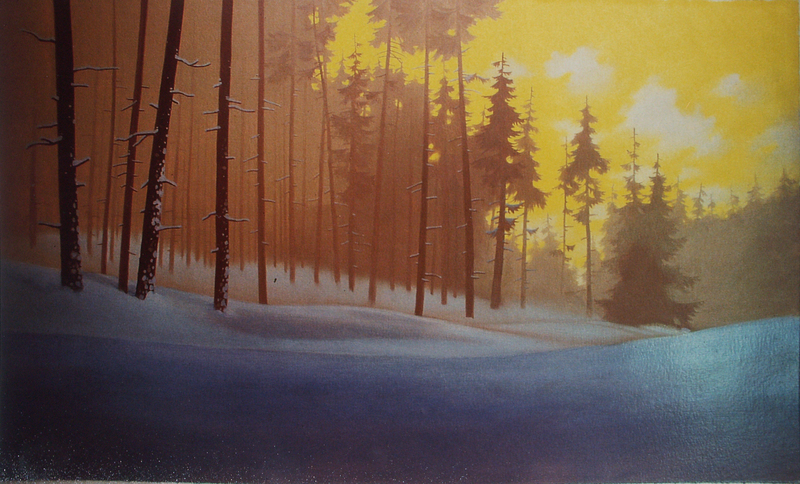 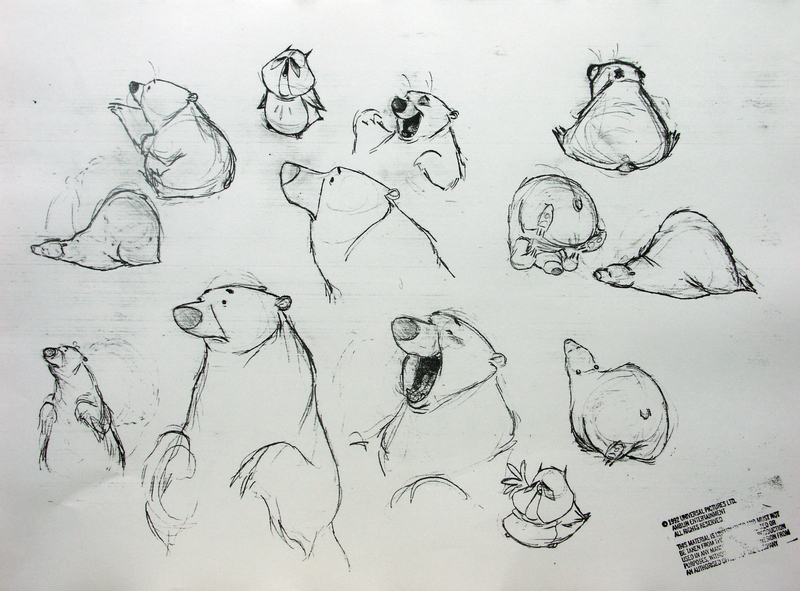 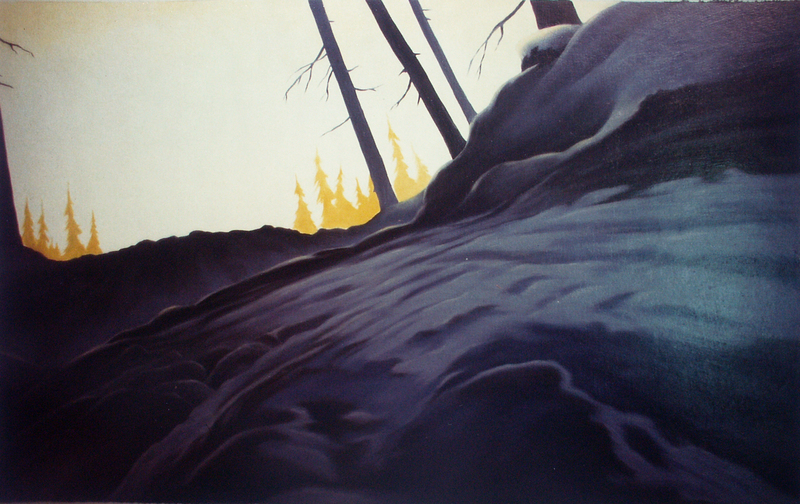 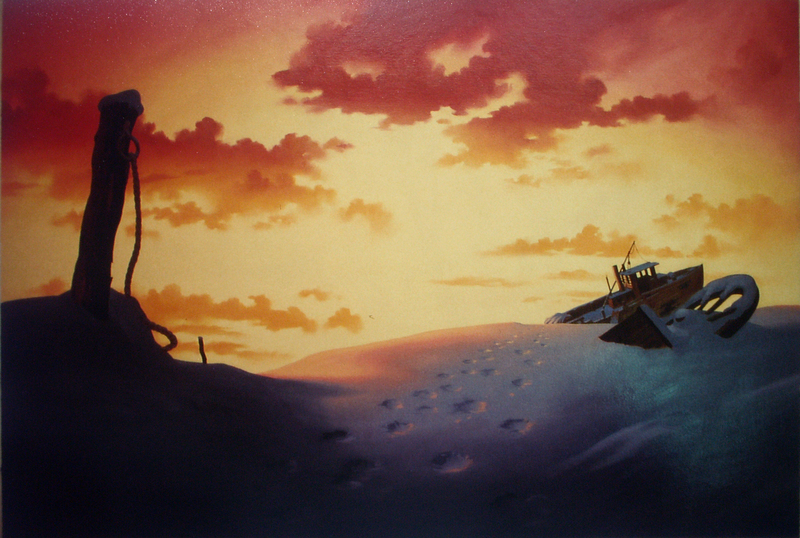 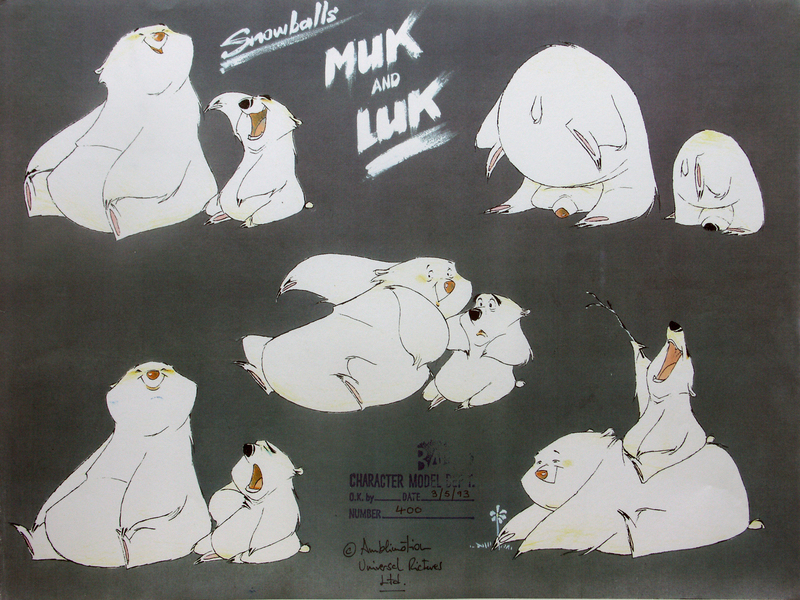 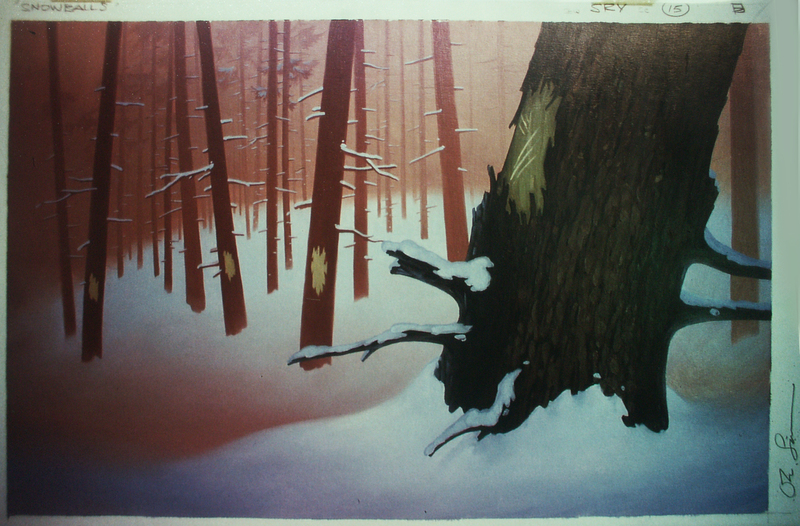 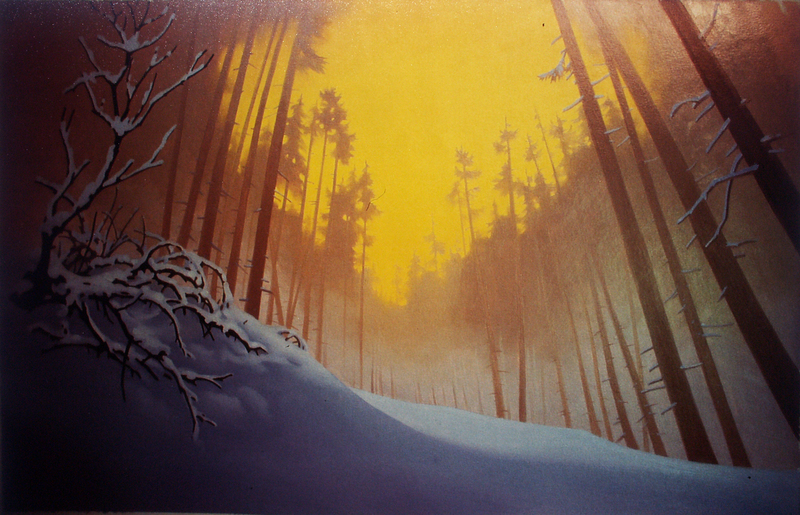 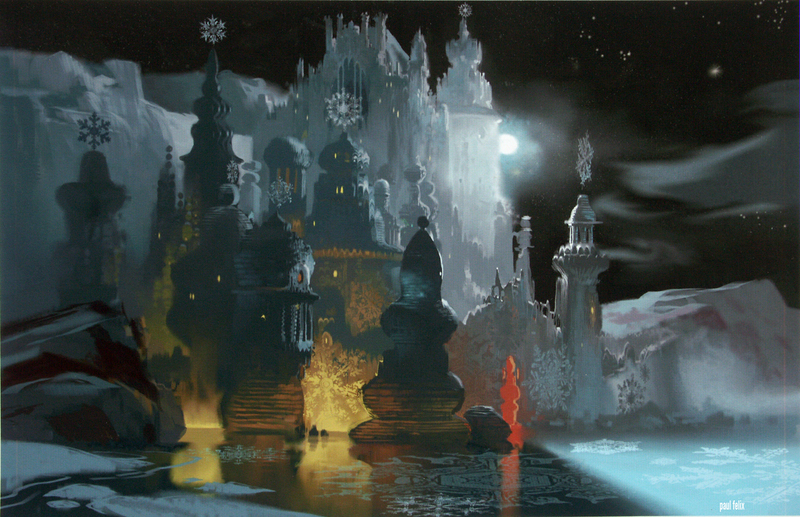 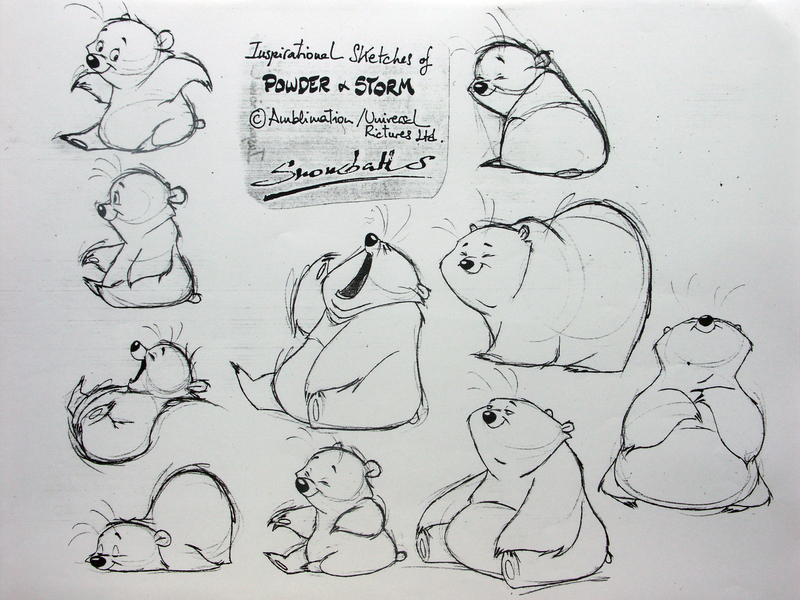 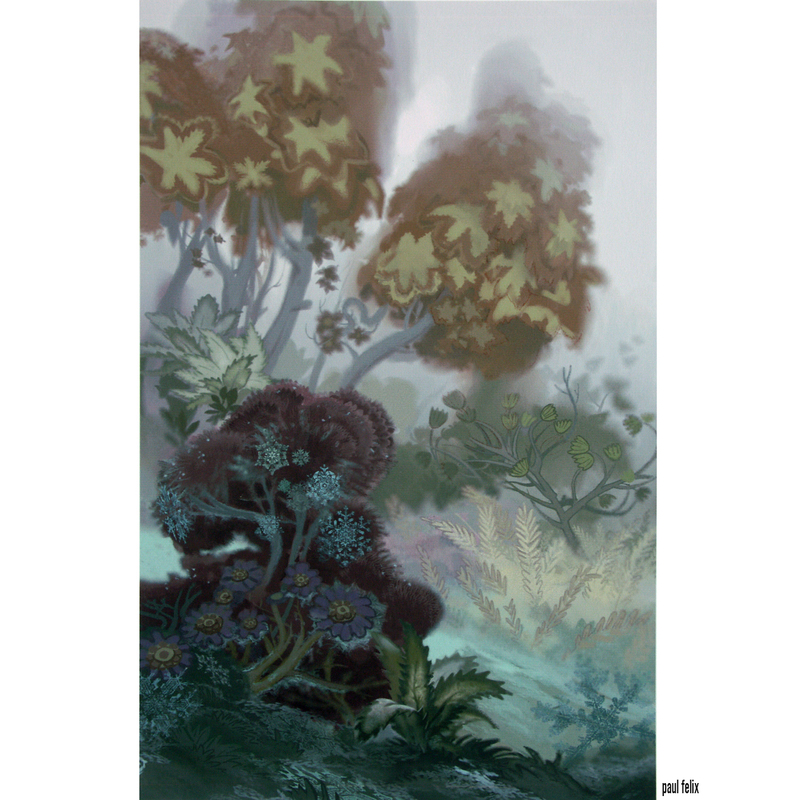 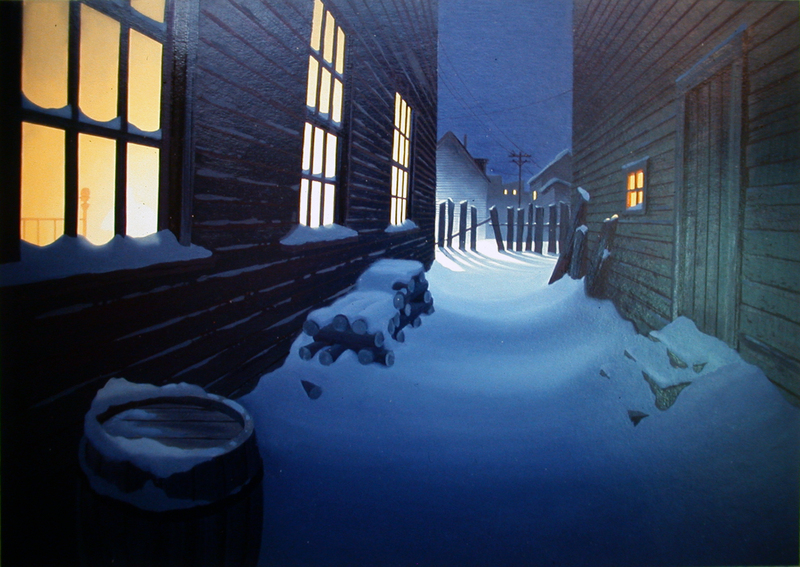 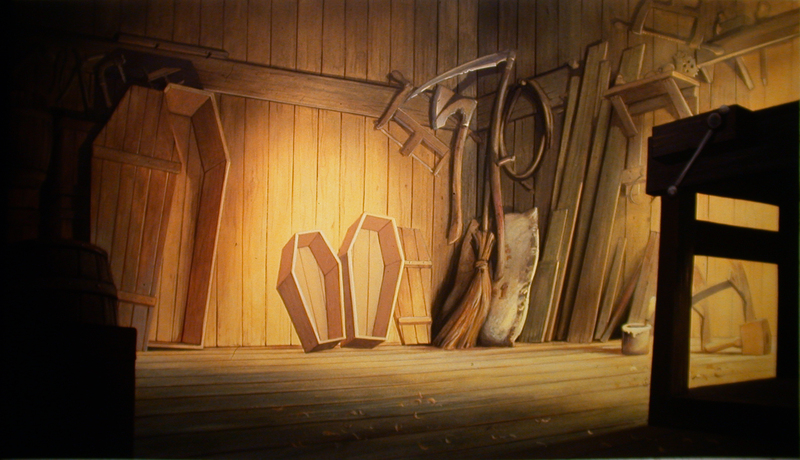 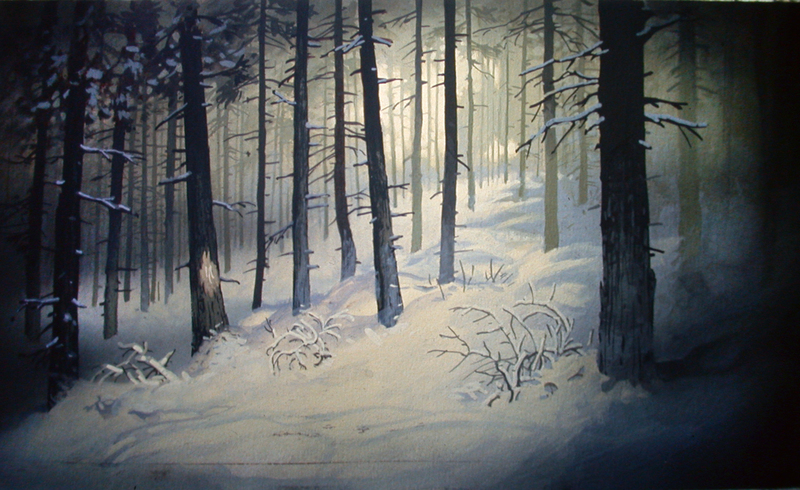 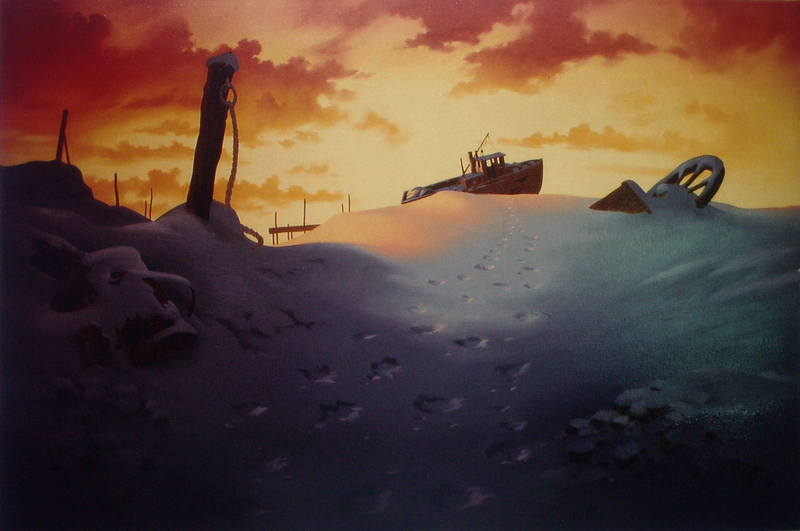 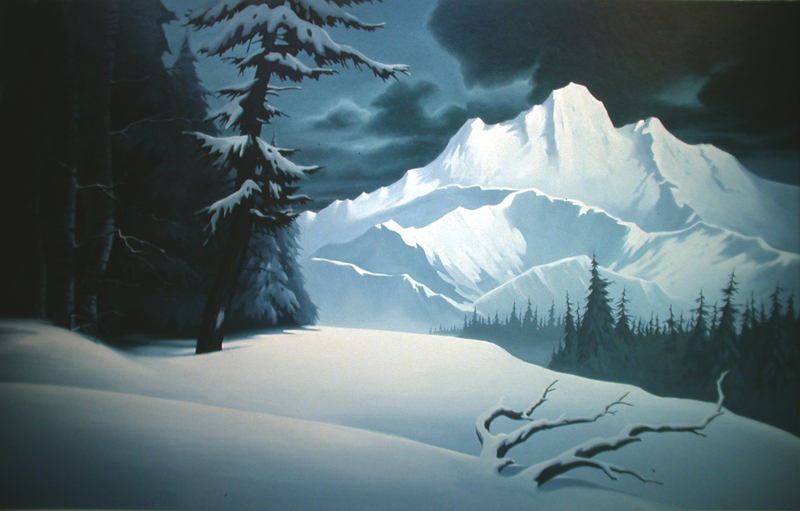 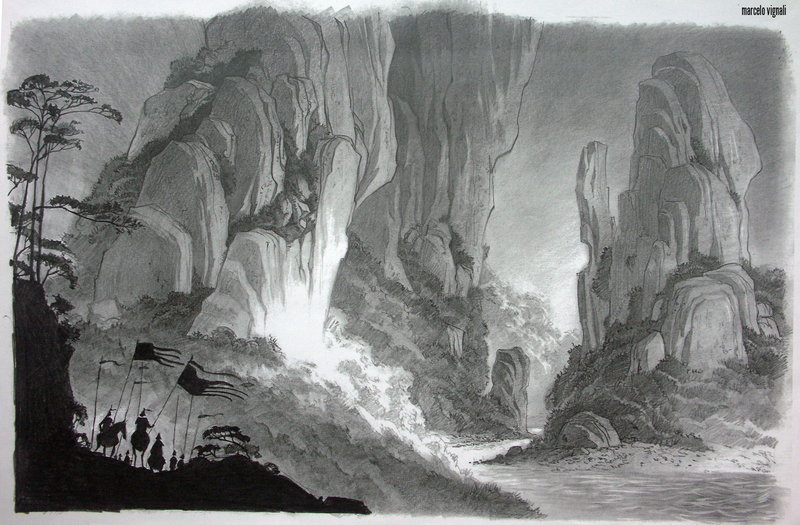 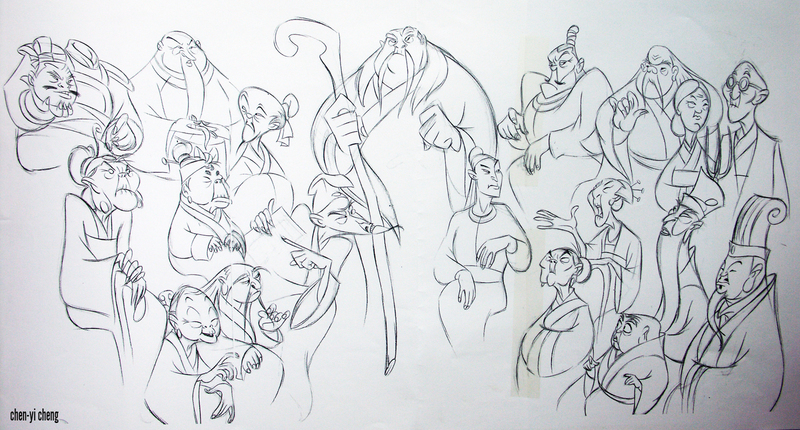 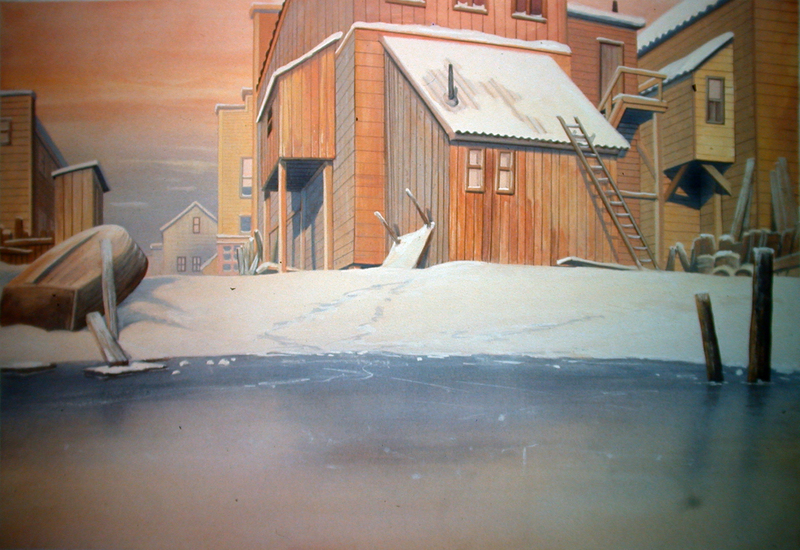 some more BG’s from the AMBLIMATION animated feature film BALTO ( 1994 ), painting technique oil and gouache. 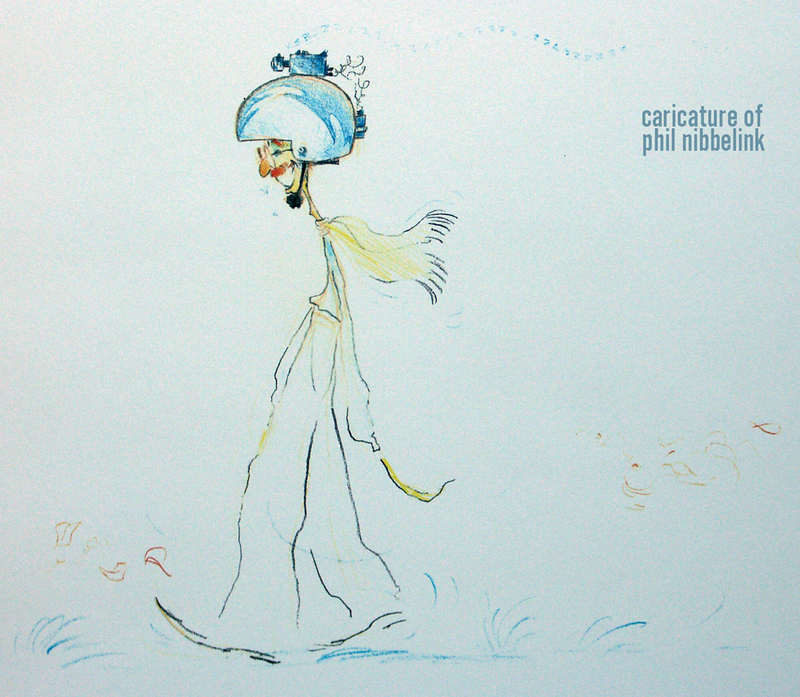 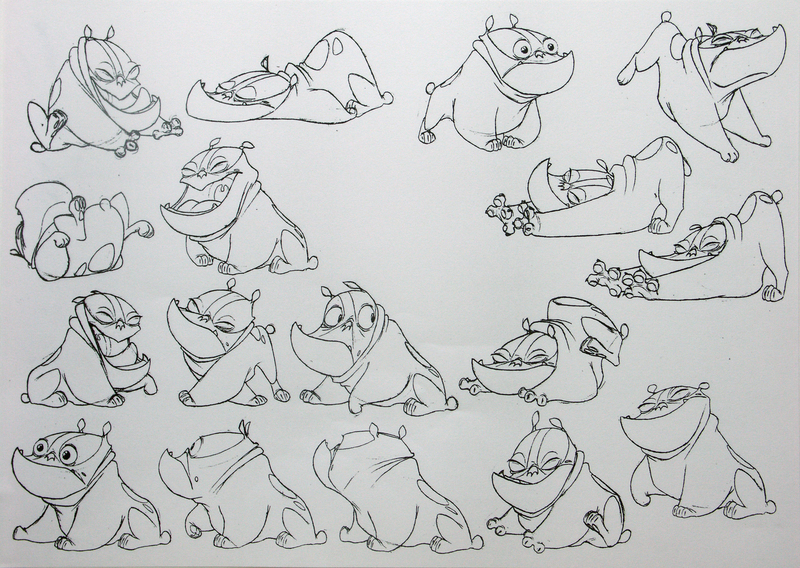 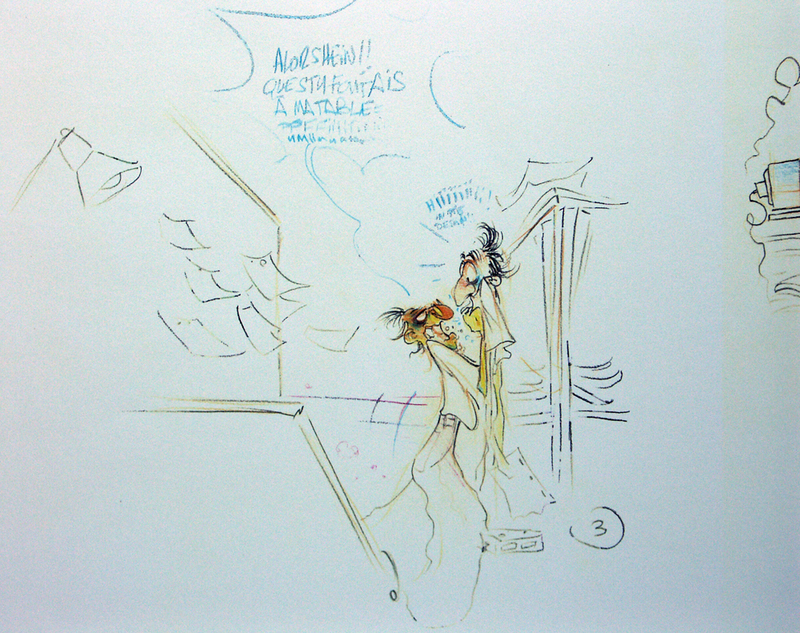 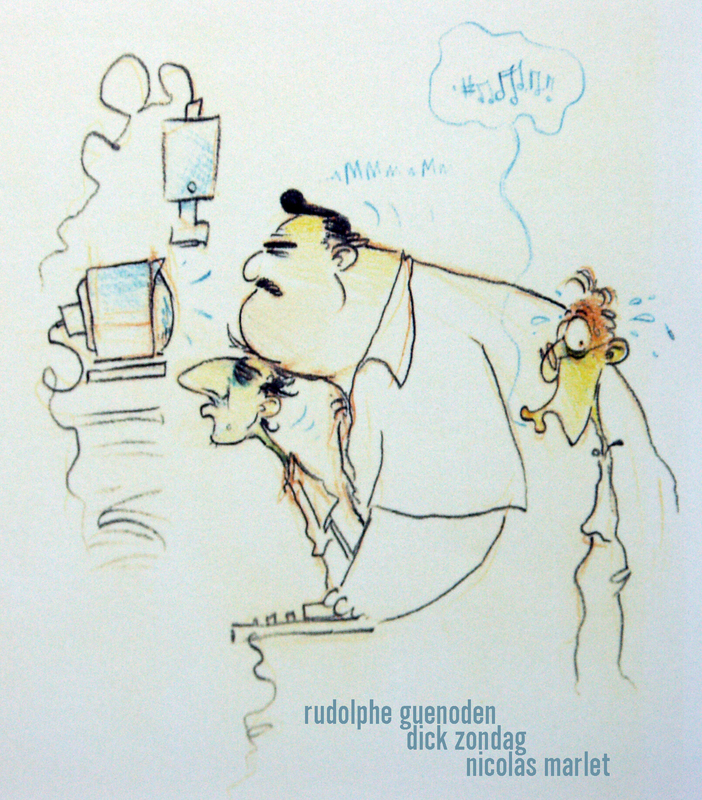 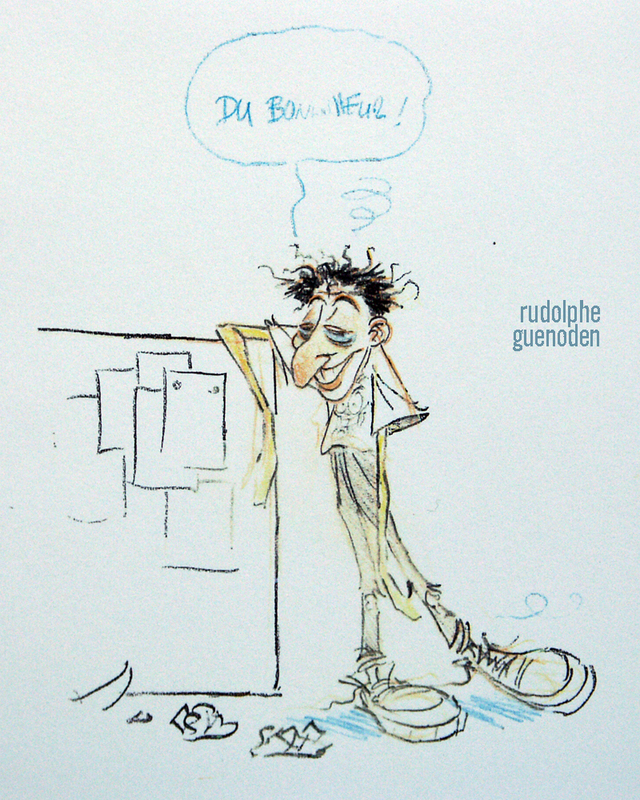 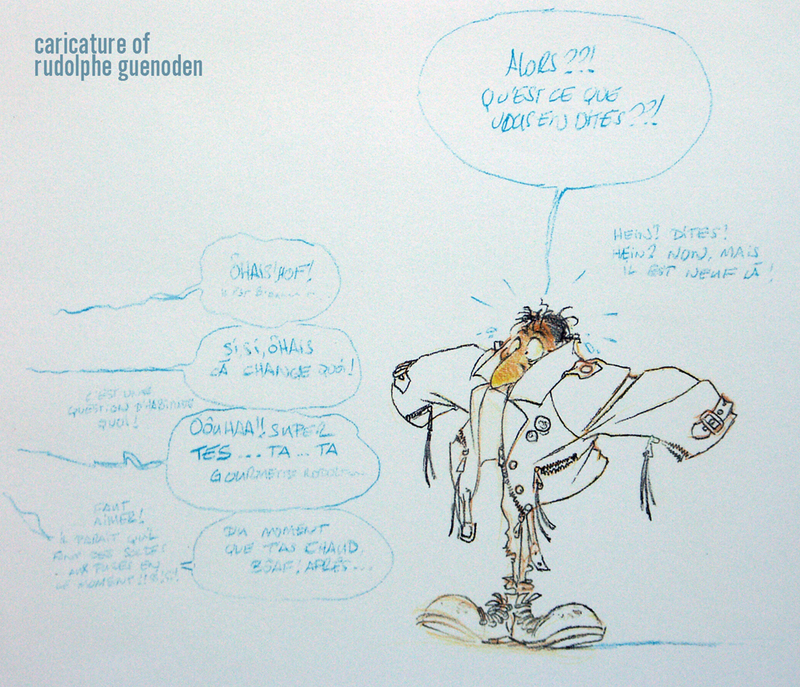 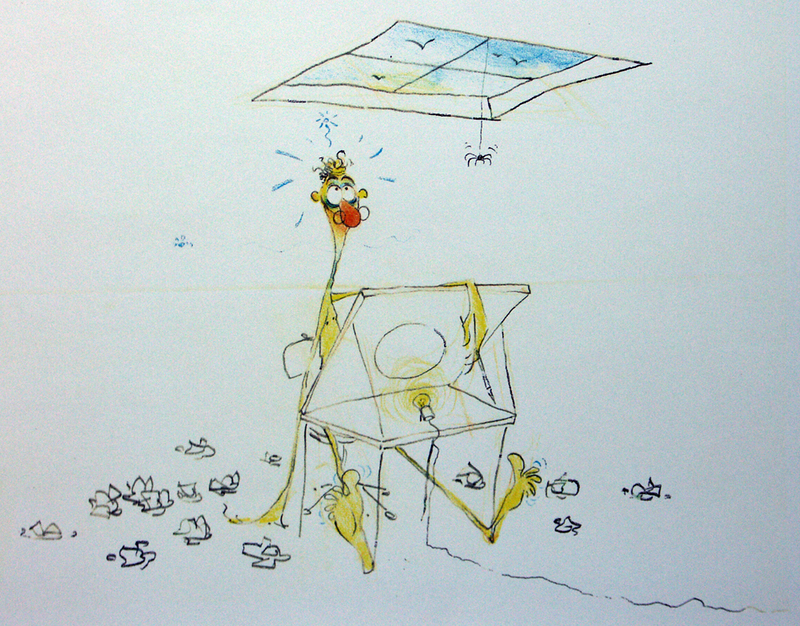 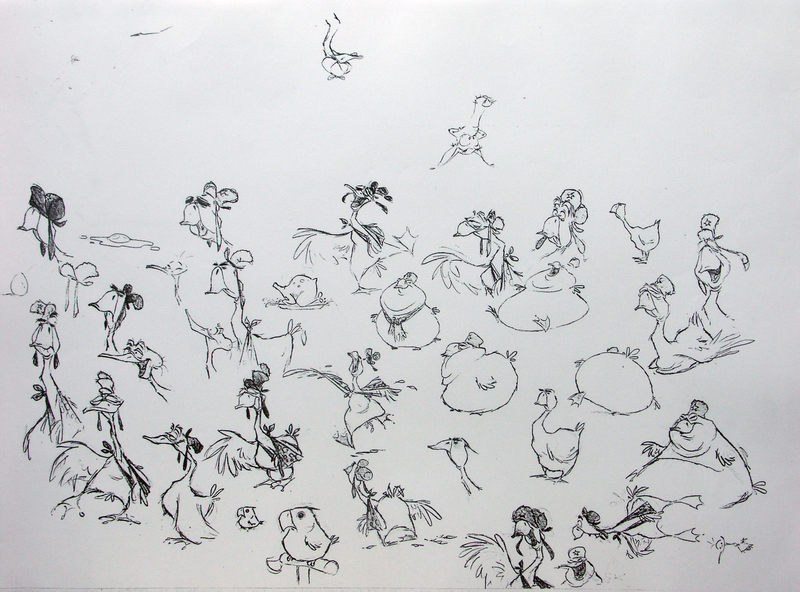 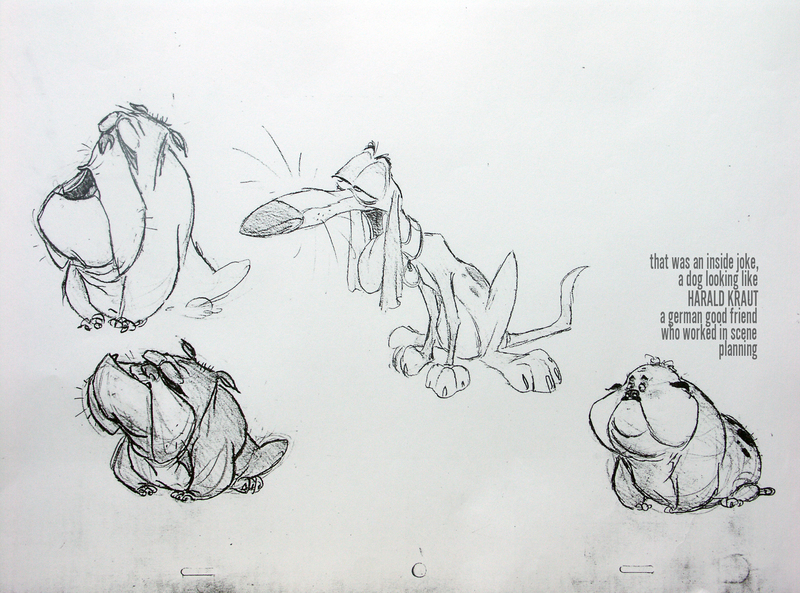 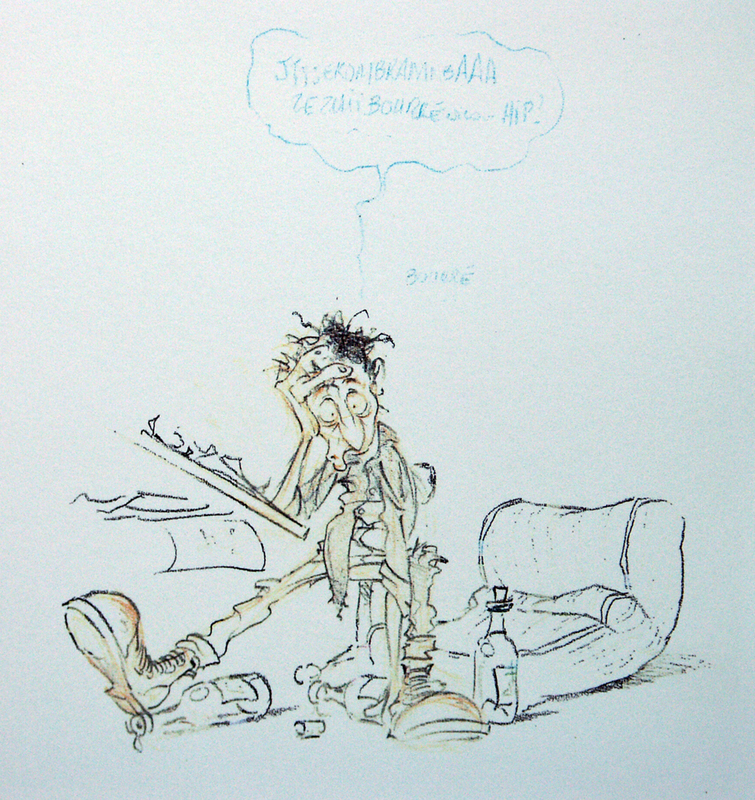 the following caricatures were created by NICOLAS MARLET as far as I remember in 1992, at that time STEPHEN SPIELBERG’S animation studio in london ( acton ) – AMBLIMATION – was still busy with the feature film WE’RE BACK. 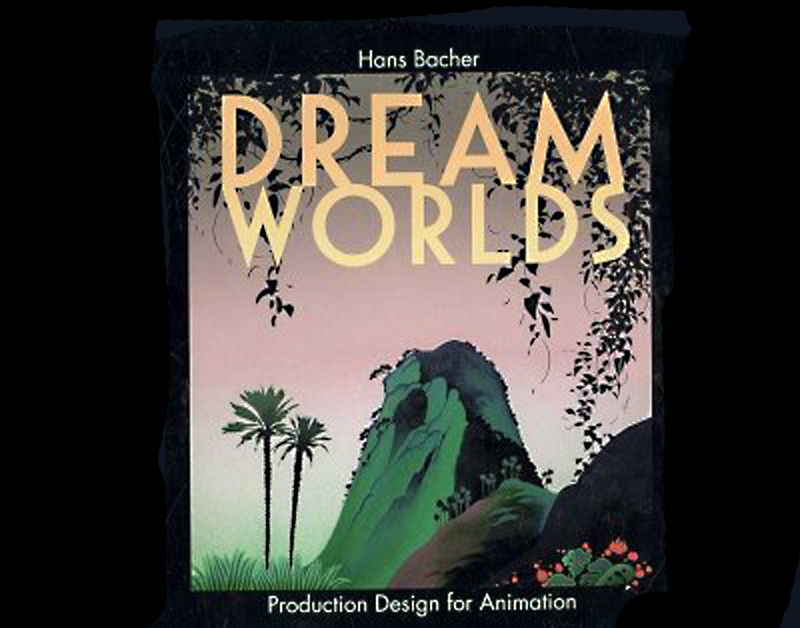 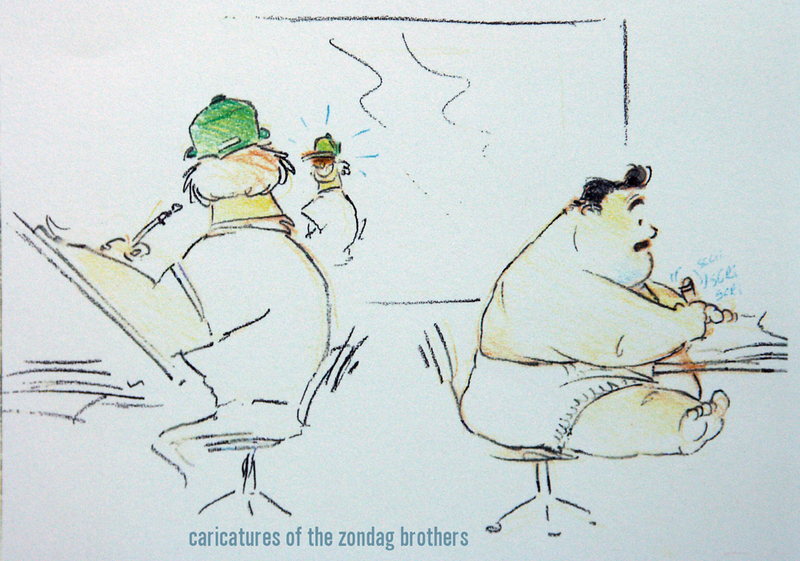 you could hear many different languages, a lot of young animators from all over the world, but mainly europe, were working there on one huge floor divided into small cubicles. 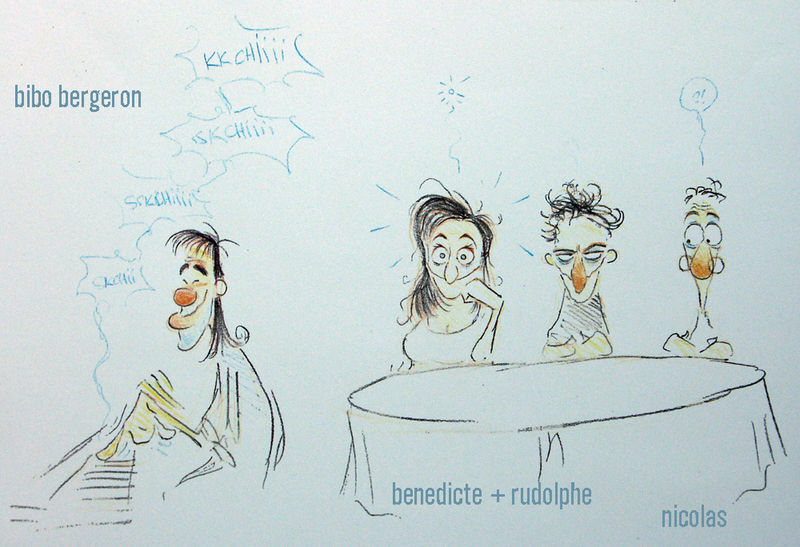 we used to caricature each other, just for fun. 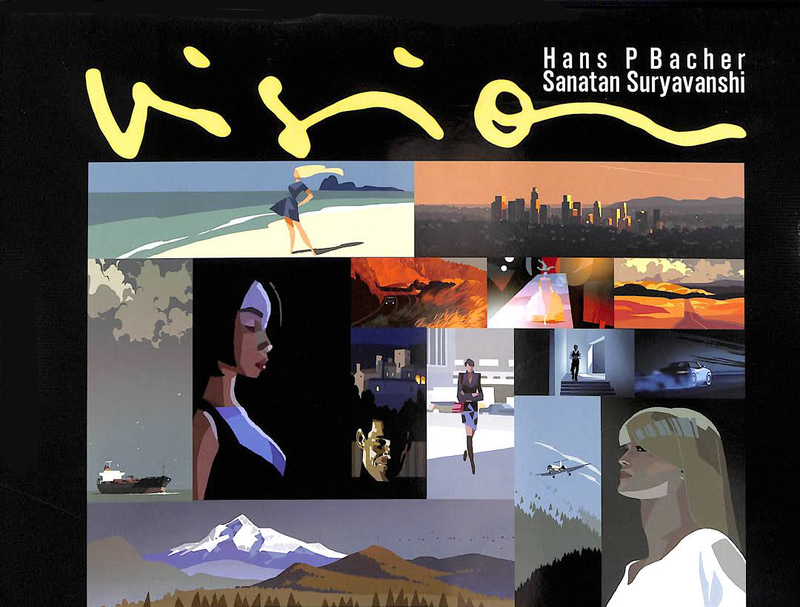 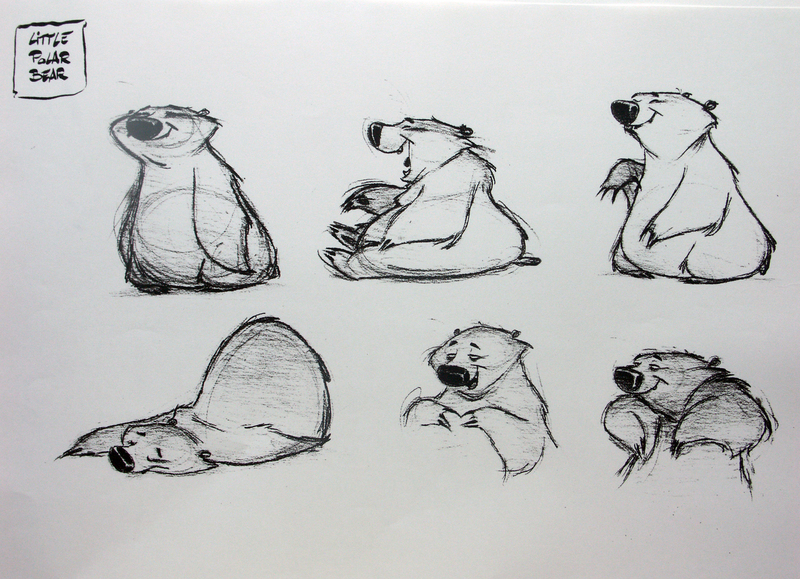 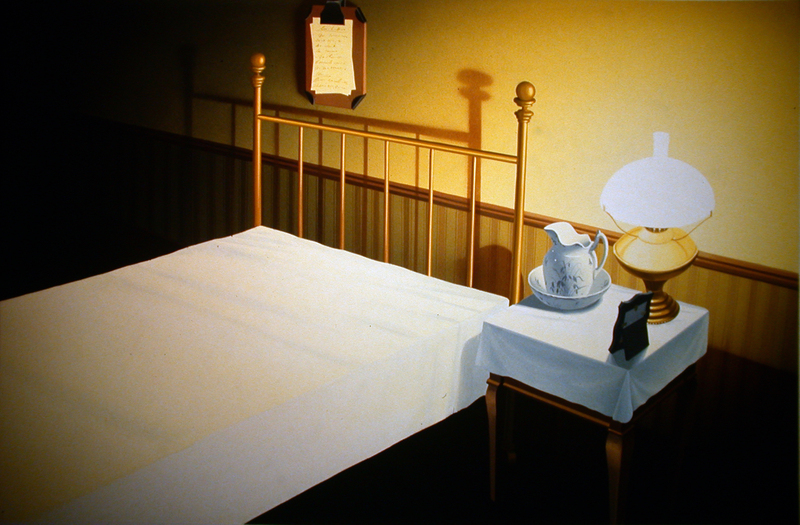 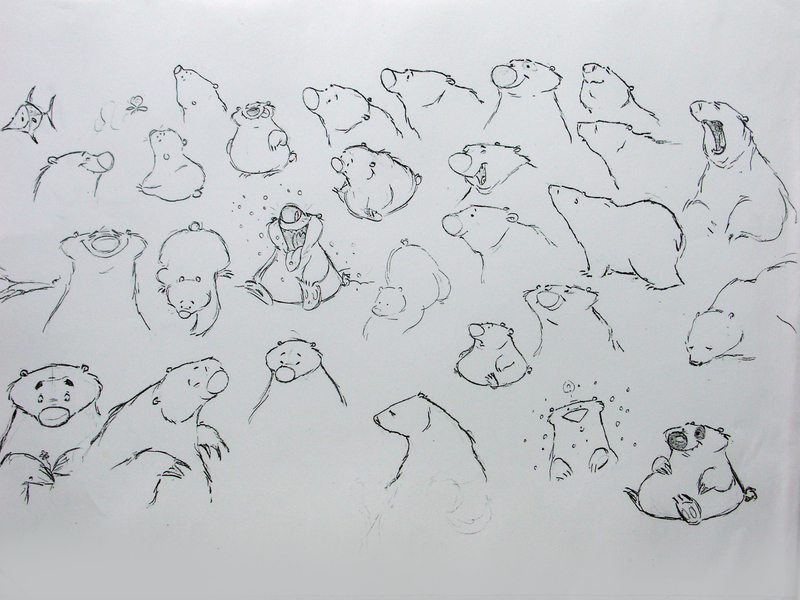 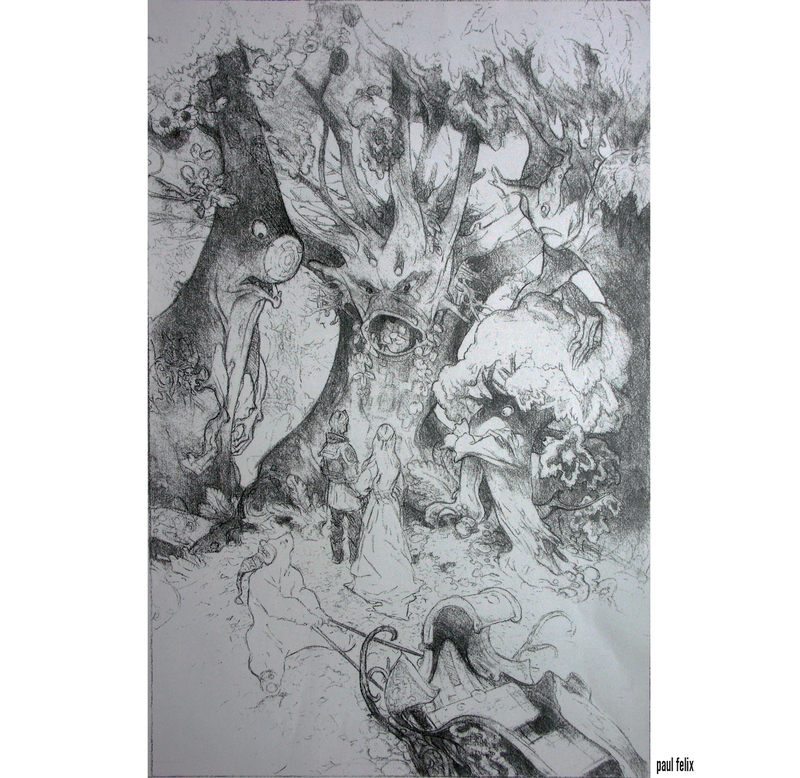 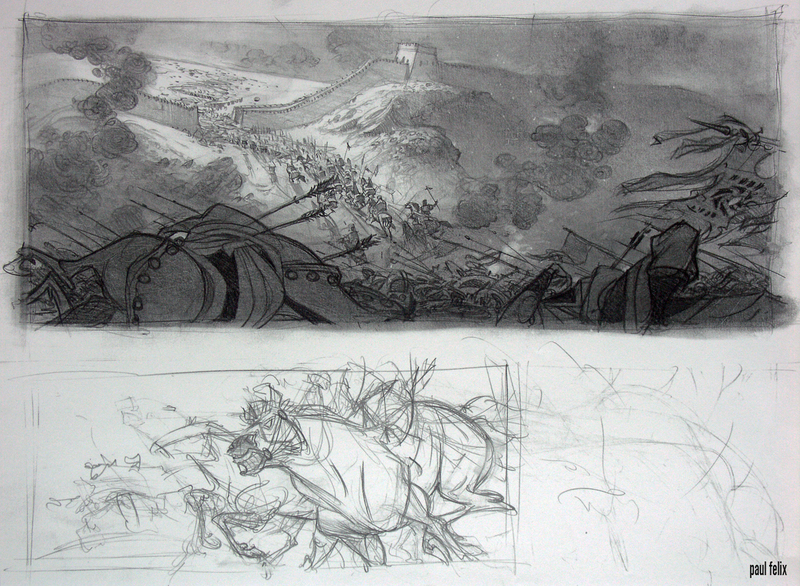 and NICOLAS was one of the best artists for sure! 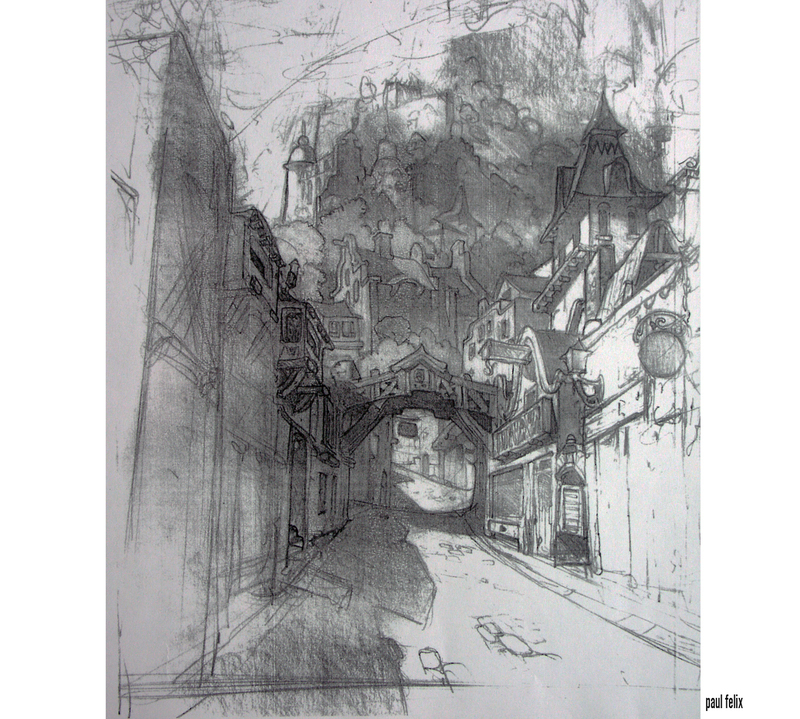 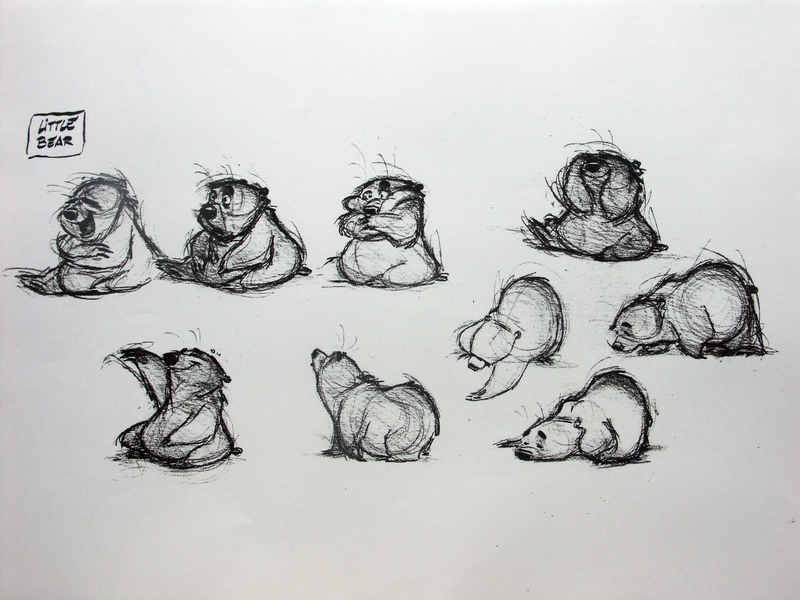 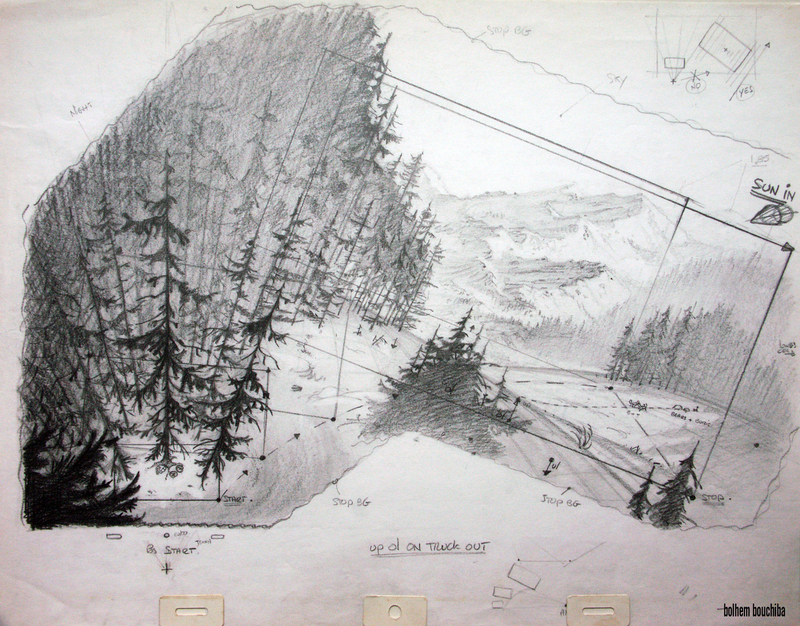 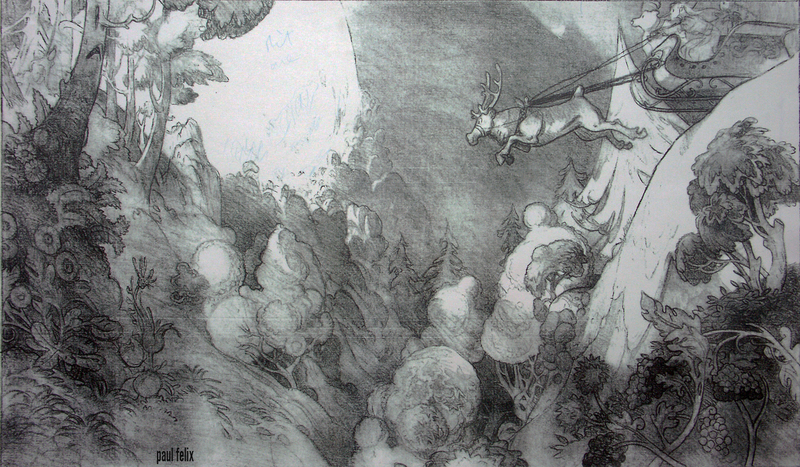 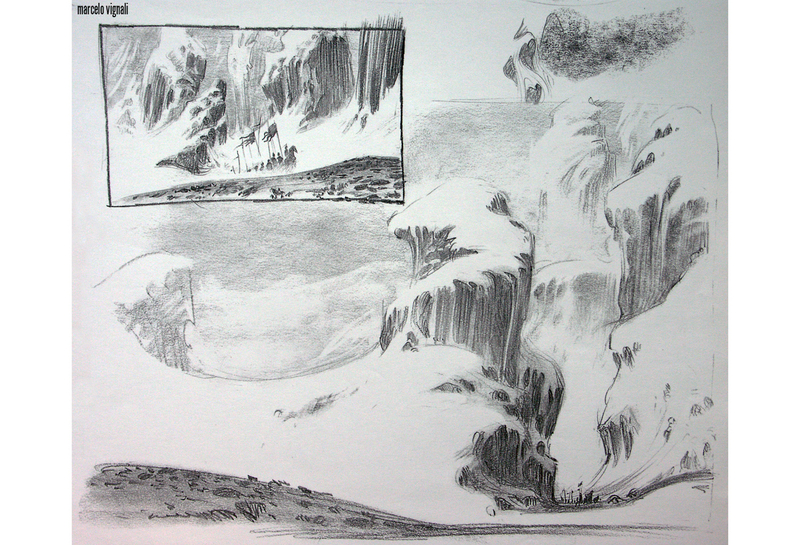 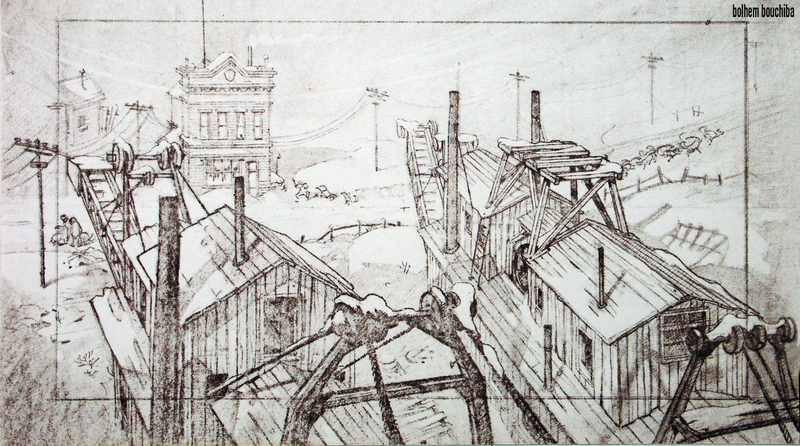 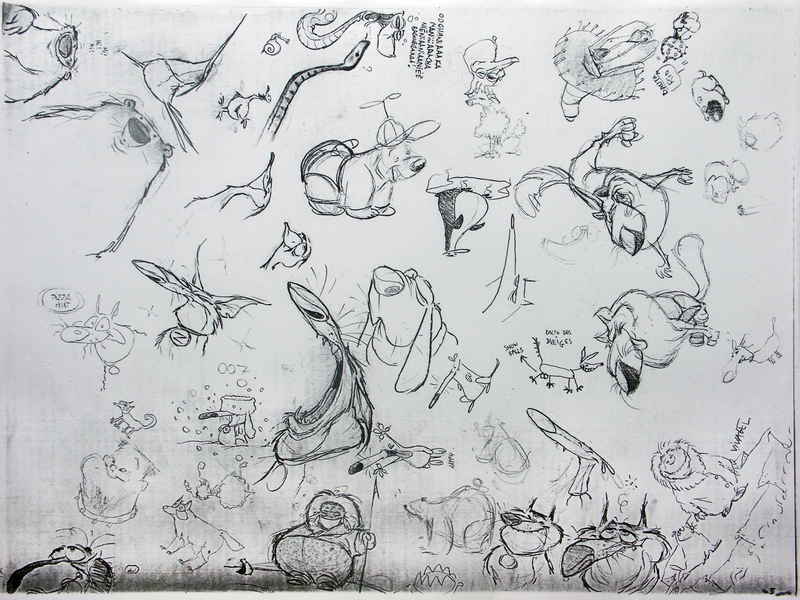 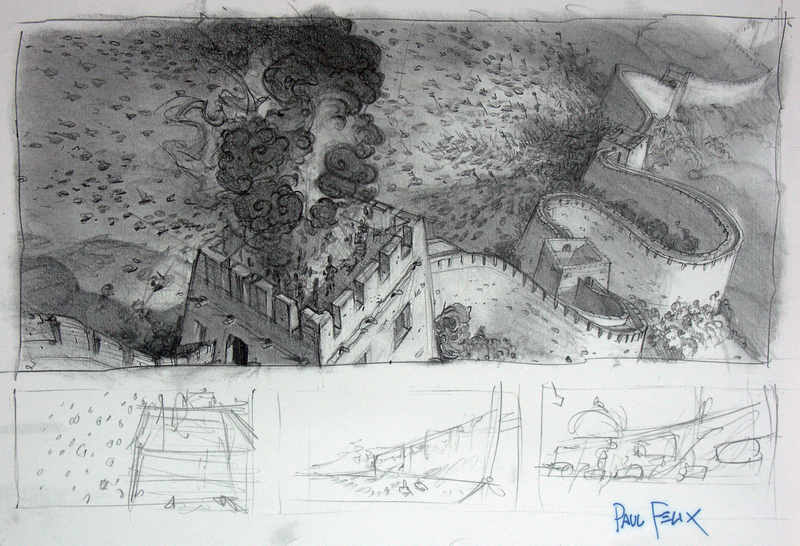 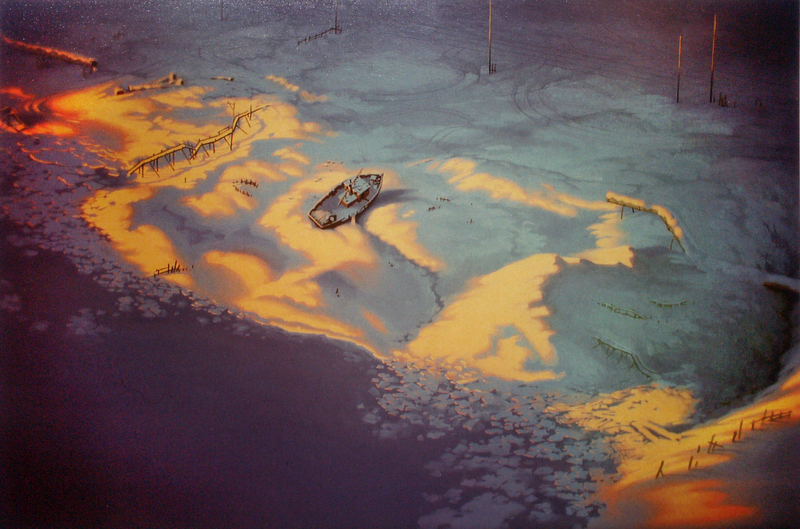 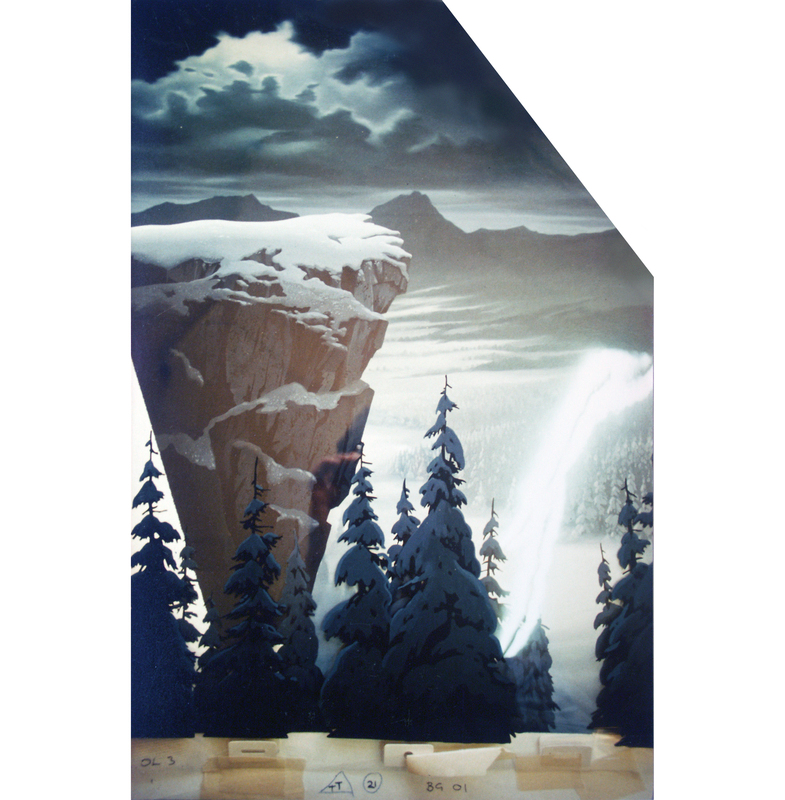 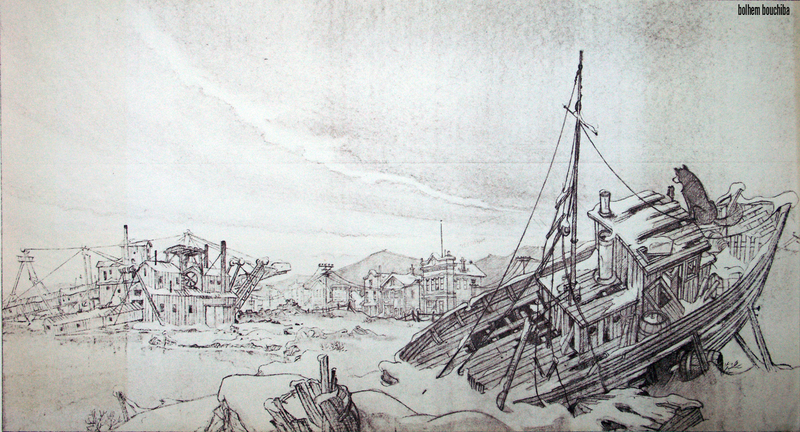 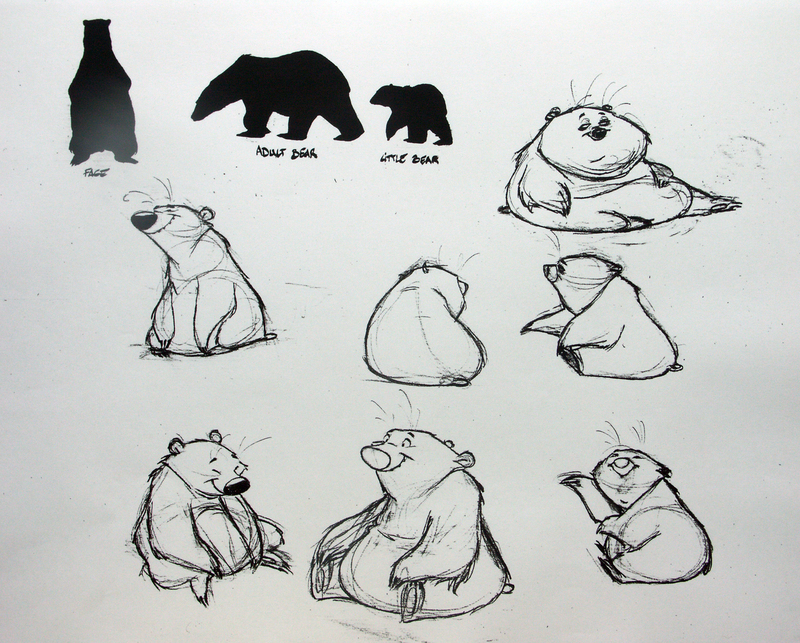 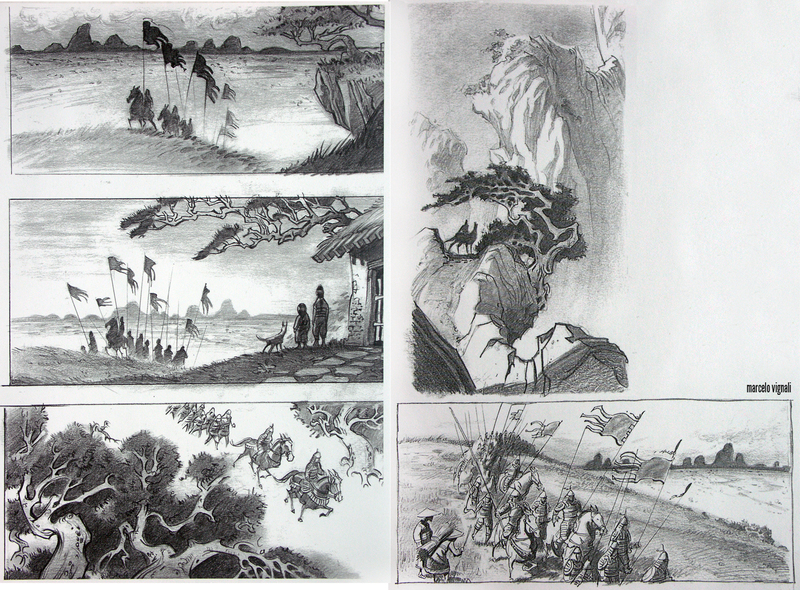 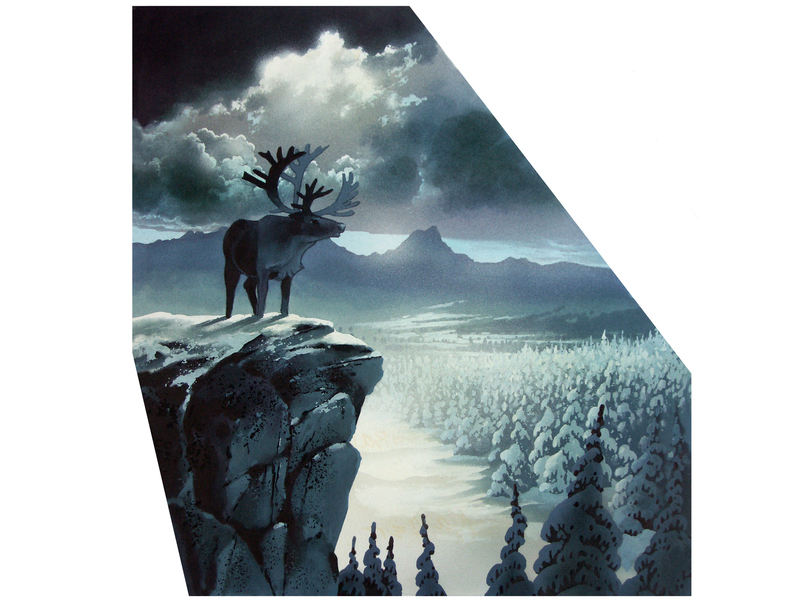 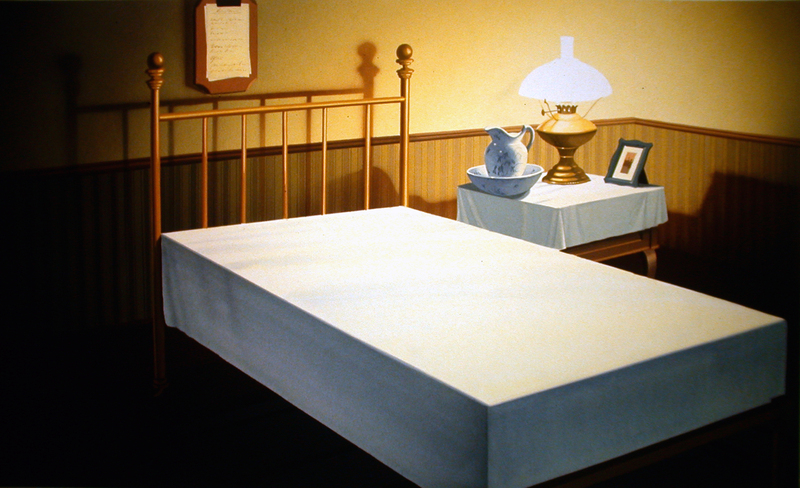 below my production design for a diagonal pan in BALTO from 1993 ( feltpen and gouache ), followed by the final background painted in oil – could not avoid the reflections in the overlay cels.